Operating a forklift without taking necessary precautions can be dangerous. Every year, hundreds of workers are injured or killed in work-related forklift accidents. Operating a forklift without taking necessary safety precautions can be dangerous. Many forklift accidents can be prevented when workers receive proper training on how to safely operate this heavy machinery. 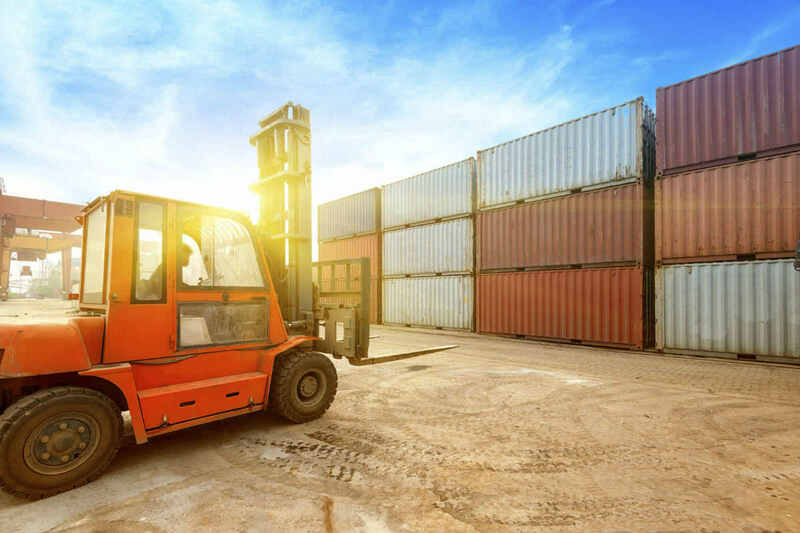 In many cases, forklift accidents happen when a driver fails to notice the surroundings in a dockyard or storehouse while operating the machine. If a passageway lacks the space required for a smooth operation of the forklift machine, a driver may end up causing an accident while trying to operate the forklift in a small space. Narrow, congested aisles are more prone to forklift accidents. Busy loading docks and storehouses are also susceptible to forklift accidents. A driver is more likely to make mistakes when there are multiple forklifts operating in the same area. If there are too many people roaming around, a driver may fail to keep track of each person’s movement. As a result, the driver may end up making a serious mistake, causing a fatal accident. A driver may fail to notice other approaching vehicles because he or she was busy avoiding an obstruction. This may result in a collision with another vehicle. Forklift accidents may also occur when a trailer is not secured in the right way. One good idea would be to block the wheels of a trailer. It is also important to check and ensure that the semi-tractor is not linked to the trailer. Regularly check the forklift for any defective parts. Accidents occur when a component of a forklift stops working at a crucial moment. Parts that need regular maintenance include the steering wheel, the brakes, transmission, horn, and hydraulics. Keep a safe distance from other machines. Do not get so close to another forklift that it becomes impossible for you to avoid a collision. Make sure you can clearly see where you are heading. Sometimes you may have a large-sized cargo obstructing your frontal view. In such a situation, consider turning around and take a different path where you have a clear view. Know how to use the horn to alert other drivers at an intersection and also how to respond to someone else’s horn. Eye to eye contact with a pedestrian often helps avoid any confusion and lowers the risk of being involved in an accident. Avoid carrying uneven loads so you can avoid tip-over accidents. If you get injured from a forklift accident at work, you may be entitled to workers’ compensation benefits. Contact Missouri workers’ compensation lawyer to know your legal rights. Call The Law Office of James M. Hoffmann at (314) 361-4300 to schedule an appointment.